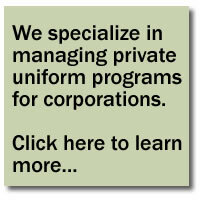 Since 1842, Fechheimer has been manufacturing quality uniforms to serve working men and women. Today, Fechheimer's resources are global, with manufacturing partners in Central and South America, Europe, Africa and Asia to complement our three Union plants in the United States. Along with the largest in-stock offering available, Fechheimer offers custom programs made to detailed specifications to meet an agency's particular needs. Fechheimer's goal is to bring you, the customer, products and programs that keep you looking your sharpest and feeling your best, providing protection in all climates and conditions. With our famed Flying Cross brand synonymous with quality, you can Wear it With Pride. Fechheimer is based in Cincinnati, Ohio and is proud to be a Berkshire Hathaway company.